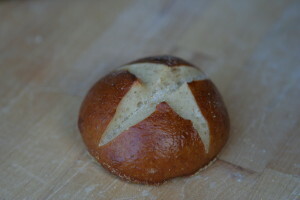 At Sour Flour, we concentrate our efforts on three distinct San Francisco sourdoughs: a classic levain bread dough, a bagel dough, and a pretzel dough. At the heart of each lives and breathes Dulce, our starter culture who turns a few simple ingredients into magic. 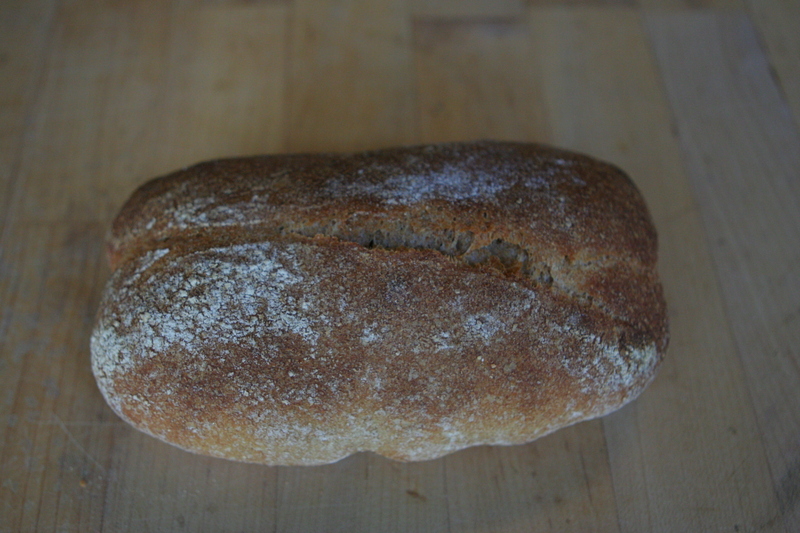 Our bread dough is made with organic wheat flour (Type 85 High Extraction), water, and salt. 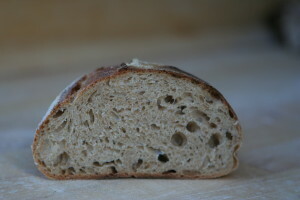 The flour has more of the grain than your typical white flour, lending it a darker color and a fuller flavor. 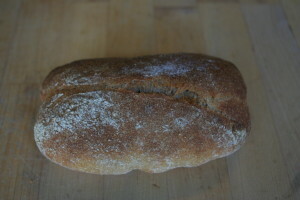 We bake our breads to have a crispy crust that reveals a perfectly moist crumb inside. We currently bake this dough into two sizes of loaf (regular and mondo), a baguette, and a roll. Our pretzel dough is made with organic wheat flour (Hi-Gluten), water, butter, and salt. Each pretzel and pretzel slider is hand-rolled and dipped in a lye solution before baking (don’t worry, none of the lye makes its way into the final pretzel). Our pretzels are topped with salt, while the sliders are unsalted. 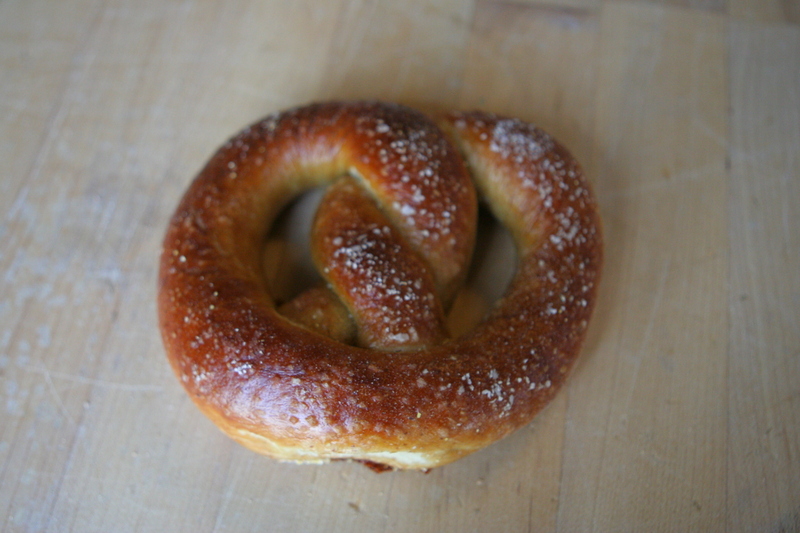 We currently bake this dough into pretzels, pretzel sliders, and pretzel baguettes. Our bagel dough is made with organic wheat flour (Hi-Gluten), water, and salt. 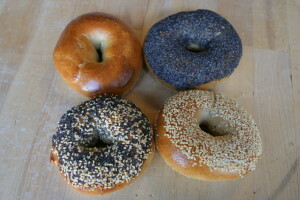 We hand-roll bagels every morning, boil them (as one should! ), seed them, and bake them. The hi-gluten flour lends just the right amount of chew, and our starter culture, Dulce, makes them distinctly San Francisco.